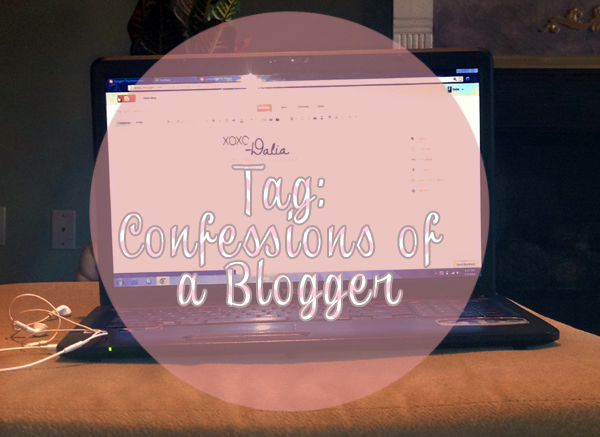 Hello lovelies, I really do love doing these blog type tags, they save me from writers block as well, this tag, which I first saw on HERE, on Kayleigh's blog. Without further or do let's get to it! I believe I started my blog in 2011, but never posted until sometime last year, late last year. I gave myself the date of Dec. 3, 2012 to "officially" start regular blogging. So far I've tried to keep up with posting and interacting. I've been loving it for the short time I've been blogging. I've had a Tumblr since 2011 as well, but unlike blogger, I regularly use it! Even so, I seldom got too personal in my Tumblr posts, as they were mostly picture reblogs and the like. I started a blog, well to blog as an avenue for the black sheep of the family. I wanted to be able to reach anyone who has ever felt like they didn't fit in, in whatever situation they may be in. I started to blog as an avenue for just that, for the interaction to any other misfit out there. If my interests appeal to anyone like myself, and help others feel a bit more of acceptance than I'd proudly say blogging has been worth it. December 3rd, 2012 to be exact, as I've already said. Hopefully I'm doing an okay job, if any to my fellow readers! Oh dear, that was so long ago, but I did delete most older posts, except my music one, as I was very proud. It was the first post that made me feel like a legitimate blogger. I left it as a reminder that I tried and failed to blog, but I couldn't quit again! My biggest challenge so far, besides my sub-par photo quality would be regularly posting as well as writers block. There are times where I really want to post, but don't want to sound redundant, and repetitive. Kudos to all the creative bloggers out there! Hopefully in a year I would have reached a bigger audience. It's been a good three months, and my tiny following is very much loved and appreciated, but I would still like to reach more readers! I would also like to interact with other fellow bloggers. There are some bloggers which are must reads and doing collabs with them someday would be ideal. The most rewarding thing about blogging is probably the freedom of expression it gives you, the writer. Yes I said I'd like to reach more readers, but that's not the reason I got into blogging. If you want to get into blogging just for followers and such, that's not a good reason. Do it because it's something you enjoy, not because of the praise you THINK you'll receive. The most discouraging thing that has happened to me, as well as many other nube bloggers would probably be putting so much effort into a post, only for no one to read it. It happens, it's part of the process. As long as one person reads my posts, connects with, brings me great satisfaction. That was fun, thanks for reading! Let me know if you do this tag as well! Wishing you all a great week! I loved hearing about how your blog got started. So many people have such different goals when it comes to blogging. Thanks for sharing!